SRD displays do not require any pigments, dyes or liquids - and can reportedly achieve bright and vivid colors. 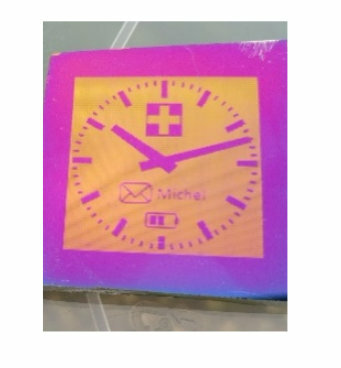 Bodle says that its technology, compared to other reflective and e-paper displays, offers a wider color gamut, high brightness, lower power and a fast response time - enough to show videos. SRD displays can also achieve very high resolutions, over 1,000 PPI. Bodle's VP of business development, Dr. Richard Holliday, updates us that while the techonology is still in a "laboratory phase", the company has already proven that SRD displays can achieve vibrant colors and fast switching. The company is now busy building its first full-scale prototype. The production process itself is simple and uses only solid-state films, which the company hopes will enable it to be cost competitive with other displays. Fore more information, see Bodle's web site.